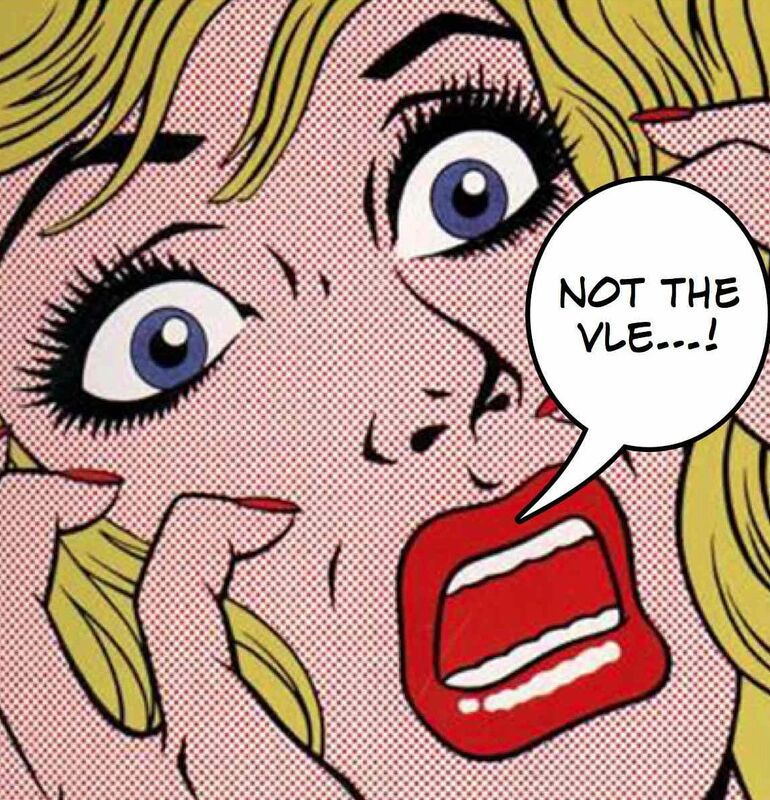 You are here: Home » Death to VLE! Regular visitors to the Taccle2 website will know my personal opinions about VLE or LCMS or whatever the catch all generic name currently is for those behemoths they call “learning platforms” (such as Blackboard, Moodle and so on). I have ranted on several occasions about their shortcomings – in particular they way in which they spectacularly fail to engage students in learning whilst keeping the bureaucrats happy – because at least the ‘learning’ is filed away tidily and accessible in a logical way. That very few children or class teachers ever want to access it seems to have escaped the attention of a lot of IT departments. In fact, “moodle lessons” when children have to dutifully upload their work have become depressingly familiar. But there you go – the inspectors love it! This post was started because many schools in Hampshire are looking for ways in which they can remove their VLE and use an alternative. So I thought I would put together a post based on the common tools within a VLE, particularly the one used in Hampshire, and then give some ideas of alternatives. Many of these alternatives will be Google Apps-based or blog-based, but there are also others too. The main thing to remember is that choosing a variety of tools is going to take more work than buying a VLE with all of the tools built-in. However, the obvious benefit to using other tools will be cost. Many of the tools used will be free but there is the obvious cost of time in setting up some of these tools and configuring them to meet your needs. Over the coming weeks, these pages will get updated to include how-to guides and videos. The plan is that this post will develop into something I can share with schools if they decide to drop their VLE and are looking for alternatives. For help with blogging or Google Apps, feel free to contact me for further advice. To setup Google Apps yourself, use the guide here or just get an overview here. So watch this space and please contact Ian with your ideas!